Sample some Thanksgiving traditions in London to celebrate the American holiday. Thanksgiving is celebrated on the fourth Thursday of November, with friends and family coming together for a traditional feast. While it’s not an official holiday in Britain, you can celebrate with American expats, tourists and friends during a Thanksgiving meal. Every year, many people from London's American community gather for a morning Thanksgiving service at St Paul's Cathedral, which is open to all who wish to attend. Festive food for Thanksgiving includes turkey, pumpkin pie, chowder and anything with an American theme. 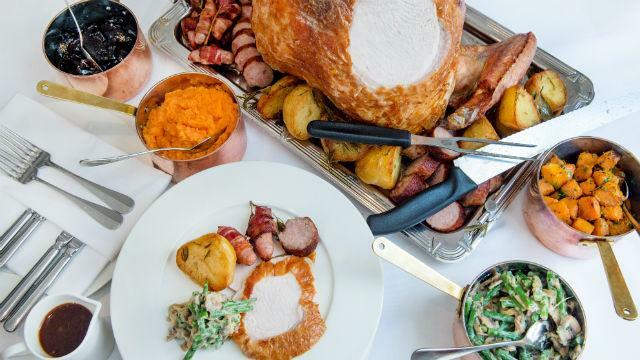 Book a Thanksgiving dinner in London to celebrate in style: many hotels, pubs and restaurants serve up special menus, in particular London's American restaurants. Plus, look out for American-themed festivities around the capital.